Snack on a partially gestated duck egg. 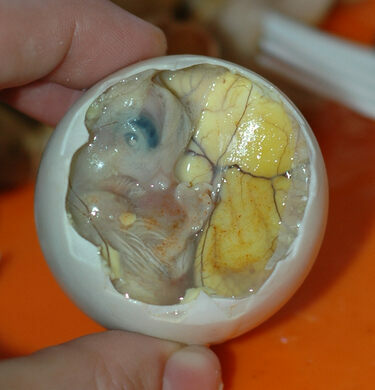 Balut is a fertilized duck embryo. In the Philippines, people eat Balut for a casual snack in between meals. They might not devour one like popcorn during a movie, but the delicacy has a strong hold in their culture. In the Philippines, fertilized duck eggs are savory snacks. 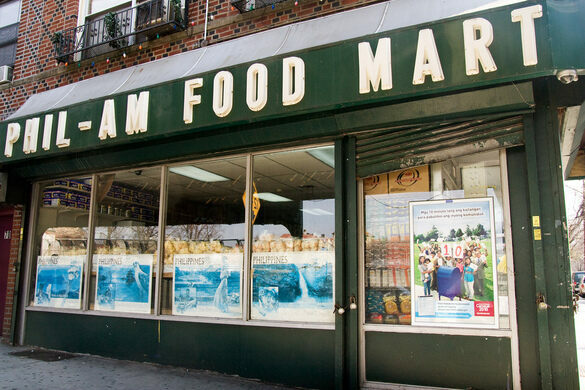 For the iron-stomached food tourist, Phil-Am Foods in Queens offers an opportunity to eat Balut right here in NYC. Those interested should keep in mind that Balut is a small duck embryo and as such features two eyes that will look up at you while eating. That being said, the snack is supposedly an aphrodisiac. You make the choice, do the means justify the ends? A New York warehouse filled with an enormous amount of goods saved from the landfills and donated for creative use.